The #WellyTech event doesn't happen without partners standing next to us and making it happen. We are honoured to hear from Liz MacPherson, CEO Stats NZ, Government Statistician, and Chief Data Steward. Liz joined the public sector with a strong appetite to make a difference. Despite being a self-confessed geek, she is very much a people person with a strong pragmatic side. She enjoys spending time with her family, cooking, and sharing good food with friends and family. In her (rare) ... Maggiori informazioni spare time, Liz coaches netball, and as a trained opera singer has been known to shine during organisational Christmas carol performances. Liz will be talking on stage in the Access Granted Big Top at 4:50 pm. 1: How was 2018 for you and your organisation? 2: What are you looking forward to in 2019? 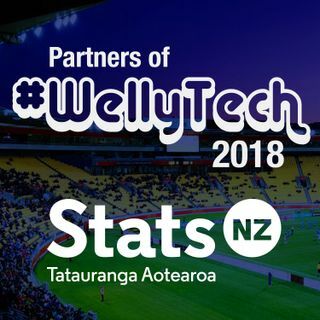 3: What’s the ‘state of the nation’ when looking at the Wellington / NZ tech scene?